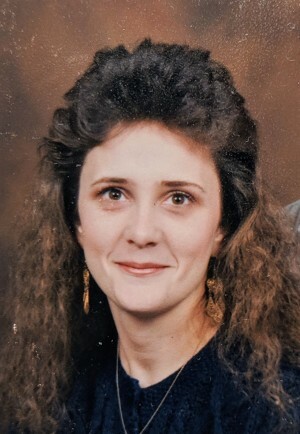 Obituary for Kimberly J. (Keller) George | Beatty-Rich Funeral Home, Inc.
Kimberly J. Keller George, 53, of Arona, Pa. died Wednesday November 21, 2018 at Excela Health Westmoreland Hospital in Greensburg, Pa. She was born May 29, 1965 in Arona, Pa. Daughter of Mary Jane Bussard-Mehalick of Arona, Pa. She was previously employed as a waitress at The Stonehouse in Arona, Pa. Kimberly loved reading and loved spending time with all her grandchildren. She had a huge heart and was willing to help everyone. She was like a mom to all her siblings and children’s friends. She is preceded in death by her grandparents William and Alice Walsh, brother Ike Keller, Moose Keller and a sister Anna Keller. She is survived by her husband Jerry L. George Sr. of Arona, Pa., son Jerry L. George Jr. and significant-other Brandi of Arona, Pa., daughter Jennifer L. George and significant other Will of Beaver, Pa., two brothers – Richard Keller and significant-other Pam of Sutersville, Pa., Bill Keller and wife Melinda of Arona, Pa., a sister Brenda Proctor and husband Gary of Arona, Pa., five grandchildren – Jordan, Loghan, Giana, Connor and Nova, grandmother Vera Keller of Arona, Pa., sister-in-law Kathy Haller of Jeannette, Pa., a brother-in-law Robert George of NC. As well as being missed dearly by several nieces and nephews. Friends will be received on Sunday November 25, 2018 from 3-5 pm at the Beatty-Rich Funeral Home, Inc. Rt 136 in Madison, Pa. Followed by a service at 5 pm with the Rev. Randy Sweet Officiating. Interment will be private. The family would like to invite family and friends to the Adamsburg firehall after the funeral service to celebrate Kimberly’s life. To leave an online condolence, please visit www.beatty-richfuneralhome.com.